Through our expertise in pre-production, production and post-production, we promise to create a highly attractive visual identity of your business for you to exhibit to the world. This will not only provide you with the opportunity to display your expert services and products in a unique and unparalleled way, enriching your presence in the highly competitive marketplace, but will further encourage employee loyalty and consolidate customer relations. Short Clips: The difference between the good and the great is in the detail so we always emphasise on the perfection of our videos, especially in short clips like intros, outros and breaks. Long Clips: Videos are the friendliest and easiest way to re-experience and promote a series of events. 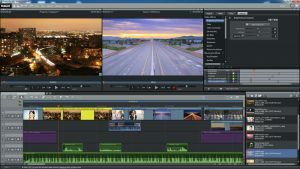 We can also improve any of your existing videos such as tutorials and episodes. Advertising: Build up credibility between your clients using a professional portfolio and attract more collaborations with a profile preview. Or, expand market sales with a unique and creative video ad. Contact us today to find out more on how we can help you!